Description: At 27 pounds the FireFly is the most lightweight and portable auto trap on the market. 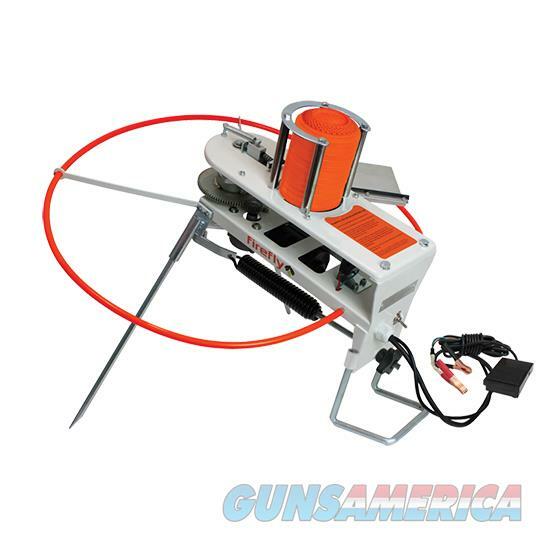 Set up only takes a few minutes and you are ready to start busting clays. With a 10 clay bird stack and integrated foot pedal launch system; the FireFly is perfect for all skill and ability levels. A nylon carry bag is included for easy transport. The FireFly runs off of a 12V deep cycle marine battery (not included) for hours of fun on a single charge.